The 30-page brief is titled “The Trump Administration Continued to Advance Discriminatory Policies and Practices Against LGBT People and People Living With HIV in 2018.” You can read and download it (for free!) here. The institute is part of Fenway Health, a community health center in Boston that serves the LGBT and HIV populations. Undermining the Affordable Care Act (ACA, or Obamacare), the program through which millions of Americans obtain health insurance coverage. But all the marks regarding HIV weren’t negative. The policy brief notes that in December 2018, Secretary of Health and Human Services Alex Azar said the HHS would update the National HIV/AIDS Strategy, which was launched in 2010 and updated in 2015 through 2020. 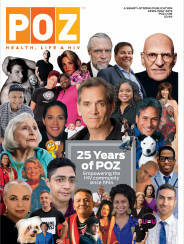 What’s more, Azar said the update would highlight PrEP and address HIV disparities among African Americans, Latinos and gay men. You can read a roundup of the Trump administration’s actions as they pertain to LGBT people in the Fenway press release. Of course, you’ll find many more details in the full policy brief. 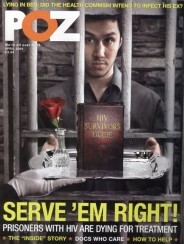 In related news, Peace Corps volunteer Romany Tin was on the cover of POZ last summer. To read more about him and the HIV policies at the Peace Corps, click here.